Rivalries can create great tension in a story as well as explain character motivation. They’re also nothing new. From Sherlock Holmes and Professor Moriarty to the Montagues and the Capulets to “Fast Eddie” Felson and Minnesota Fats to Professor Xavier and Magneto, rivalries have been commonplace in storytelling for centuries. What makes a rivalry more interesting is when the two characters are both people for whom you can root. Director Ron Howard and writer Peter Morgan accomplish this in their new film Rush (rated R). Rush stars Chris Hemsworth (The Avengers’ Thor) as James Hunt, a Formula 1 race car driver who’s a bit of a loose canon and a party animal. He’s cocky and good-looking and that’s gotten him through life so far. 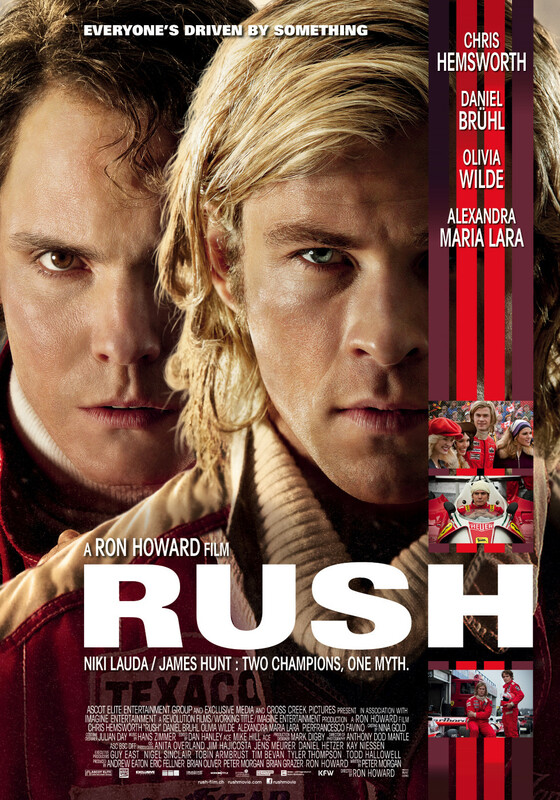 Daniel Bruhl (Inglourious Basterds) plays Niki Lauda, an Austrian Formula 1 racer who’s everything Hunt isn’t. He’s extremely intelligent and plays by the book. He knows how to win races because he understands the science behind racing. He doesn’t get the thrill of putting his life on the line like Hunt does. X-Men started the campfire known as “Modern Superhero Movies.” Raimi’s Spider-Man threw a grenade in it. Justin and John discuss the original theatrical Spider-Man that launched the avalanche of superhero movies to come. What made it great? Does it still hold up? These are just a few of the questions addressed. Let us know your thoughts in the comments below! 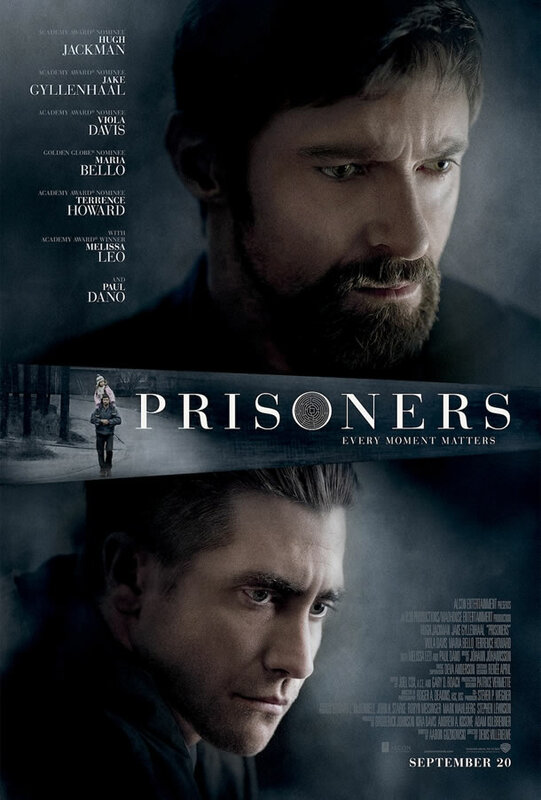 Prisoners is a harrowing drama about two families whose daughters go missing on Thanksgiving day and the lengths to which they’ll go to find them. It’s dark and disturbing at times and makes you question how far is too far when it comes to the life of a child. Prisoners (rated R) is directed by Denis Villeneuve, the director of the 2010 Oscar nominated film Incendies (which I regrettably haven’t seen but will probably check out now) and written by Aaron Guzikowski whose only other notable credit is last year’s Contraband starring Mark Wahlberg (which I have seen and the two films couldn’t be more different). Small independent films can surprise you sometimes and end up being sadly overlooked by many in terms of the “best films of the year.” Hopefully In a World… won’t be overlooked. It’s charming and fun and full of characters who feel real. 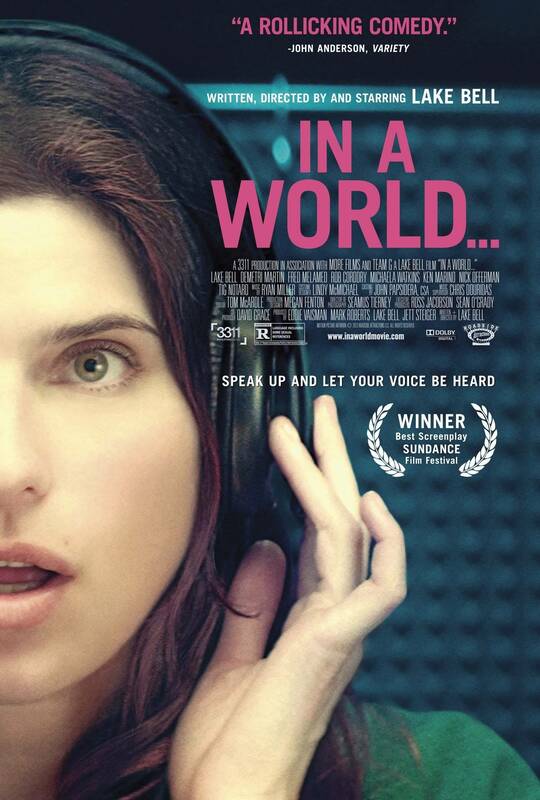 Written, directed and starring Lake Bell, In a World… (rated R) follows Carol, the daughter of a voice over megastar named Sam Sotto. Other than Don LaFontaine, who was the king of “In a world…” movie trailer voice overs, Sam Sotto is the best. Carol spends her days working as a vocal coach, helping actors with dialects mostly. At 31, she’s still living at home and her father decides to support her by not supporting her anymore. She’s forced to move in with her sister and her husband while she figures things out. First of all, I feel I must warn you that this review has spoilers for the first Insidious movie. It’s a bit hard to talk about the events in this film without mentioning the final moments of the first movie. For that reason, I won’t be doing a mini-review for it, as I like to keep those spoiler-free. 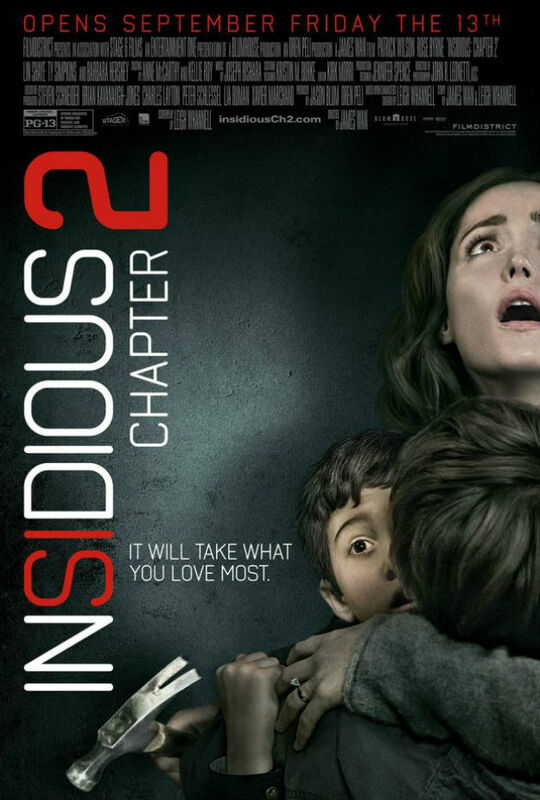 This review, however, will not have spoilers for Insidious: Chapter 2. So as long as you’ve seen part one, you’re safe. If you haven’t seen the original Insidious, it’s definitely worth checking out. It’s directed by James Wan (who recently directed The Conjuring) and written by Leigh Whannell. They are the team behind the original Saw movie. And it’s PG-13, which is somewhat rare for a horror movie, as it lacks the typical language and gore from the more common films of the genre. The sequel brings back the writing directing team of Whannell and Wan and, despite what major critics say, was even more fun than the original. Star Trek Into Darkness is the second installment in J. J. Abrams’ reboot of the ever popular Star Trek universe. Join us. Our 1 hour and 20 minute mission: to explore the movie’s brilliance, to seek out any flaws and imperfections, to boldly go where no movie critic has gone before! *Duuun DUUUUUUN…duun dun-dun-dun-duuuuuun* Warp 3. “It all started when Warner Bros. came to me with the suggestion of turning ‘Fantastic Beasts and Where to Find Them’ into a film. I thought it was a fun idea, but the idea of seeing Newt Scamander, the supposed author of ‘Fantastic Beasts’, realized by another writer was difficult. Having lived for so long in my fictional universe, I feel very protective of it and I already knew a lot about Newt. As hard-core Harry Potter fans will know, I liked him so much that I even married his grandson, Rolf, to one of my favourite characters from the Harry Potter series, Luna Lovegood. There is an actual version of ‘Fantastic Beasts and Where to Find Them’ available to read, written by J. K. Rowling. I don’t remember anything about this book, or the author, Newt, but I can’t deny I am intrigued and somewhat excited to see a branch of the Harry Potter universe come to life on the silver screen. Have you any interest left in the wizarding world of Harry Potter? Let us know in your comments below!